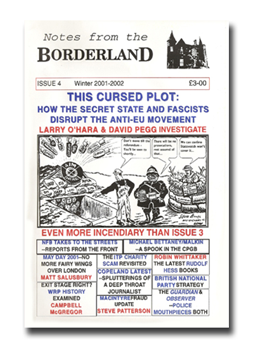 Fascism, the Secret State & anti-EU struggle, a comprehensive tour de force. Guardian/Observer demonisation of radical activists explored in detail. Michael Bettaney/Malkin/Bernal: MI5 pension recipient infiltrates Stalinist CPGB shock. British National Party (BNP) strategy.